Having an offer rejected by a home seller is frustrating. If it is the home of your dreams, you feel heart broken. It can be enough to make you quit looking and just give up. 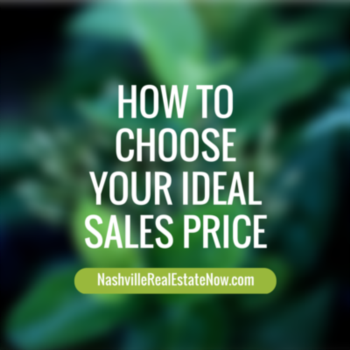 Offer rejection is a common problem for buyers in Nashville today. It is impossible to ensure success. 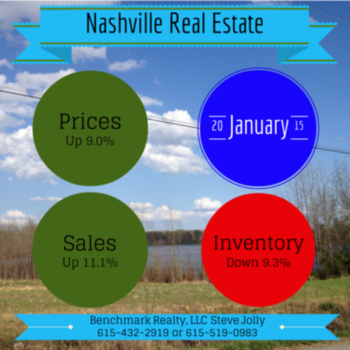 Many areas of Nashville have more active buyers than homes for sale. With more than one offer on many homes, the odds are against you. Home buyers have it tough right now, but there is a silver lining. There are several things that you can do to turn the tide. To change the odds in your favor and make your offer shine brighter. Below you will find five steps to make your offer more attractive to the seller. If you want to go above and beyond the best agents, make sure you read step #6. Here's Six Steps to Creating Accepted Offers. 1. Include a personal letter to the seller with a picture of your family. Reviewing many offers is an exercise in logic. Most of us want to know which offer nets the most money and has the most favorable terms. Most of the time emotions do not enter the picture. By including a letter a picture, your offer becomes real to the seller. They start to see the faces and stories behind the offer. If all else is equal, the emotional connection may be enough to move your offer to the top of the stack. This is your chance to tell your story. Do not miss this opportunity. 2. Offer the right price for the home. Before you set the offer price, make sure that your broker completes a Comparative Market Analysis (CMA). This may mean offering at or above the listing price based on the analysis. You do not want to over pay for a home, and you also do not want to lose a home over a few thousand dollars. This analysis must be spot on. Not every agent has the skill set to analyze the sale price. Make sure that you are getting the best information available from your broker before you write the offer. 3. Insist on an inspection, but make it Pass/Fail. Some buyers skip the inspection contingency to make their offer look better. This is a big mistake with many zeros on the end. When visiting the home, take time to inspect with your eyes. Attempt to uncover any issues during the showing. Your agent should be doing the same. Submit your offer with an inspection contingency. Let the seller know that you will not ask for any repairs or credits. You will either accept the home "AS-IS" or reject it after the inspection. If the seller is comfortable with the condition of their home, this will put them at ease. Many people look at the inspection as another opportunity to negotiate the price down. This is another opportunity to show the seller that you are a serious and strong buyer. 4. Offer to let the seller stay in the home at no cost for a few weeks past closing, if it is important to the seller. Many sellers are concerned that they will not be able to find their next home. This is the primary reason so many are still on the fence about selling. Adding piece of mind is another way to make an emotional connection with the seller and show you are best buyer for their needs. 5. Offer earnest money equal to 1% of the sales price. This may seem like a significant amount of money because it is. It will also seem like that to the seller and that is good. They will know that you are serious about buying the home. The earnest money will be applied to the sales price at closing or returned if you cancel with a contingency. Unless you default, the risk to you is minimal. 6. The best brokers may be using many of the tactics is this list. You need to be the best of the best. Knowledge of the seller could be your best advantage. You and your agent should do your homework on the seller. Have your broker talk to the seller's agent to discover their motivations and what they desire from the sale. Find a way to work solutions into your offer. By solving problems for the seller, you offer is much more attractive. The best listing agents will hold their cards close to the vest. Be creative and learn as much as you can. Because many agents skip this step, this is an opportunity for you to set yourself apart from the competition. Why are we sharing these valuable tips? We value your time and your buying experience. It is our job to solve problems, remove barriers and have fun. Do not be like those buyers who think that we are still in a buyer's market. That is a long, difficult road to disappointment.